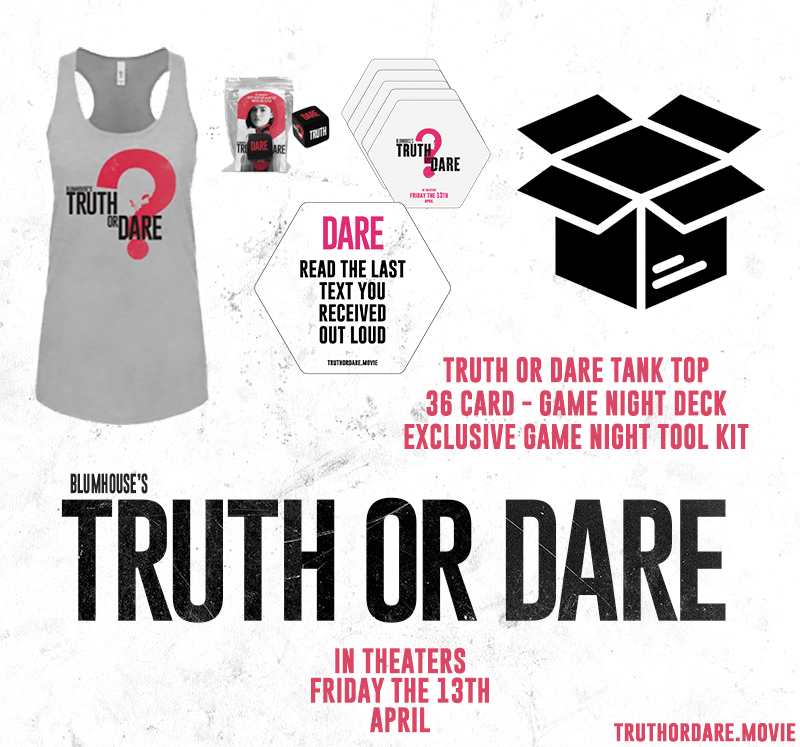 1 - Truth or Dare Official Promo Tank - Show off the goods with this Truth or Dare Offic a ial Tank. Once you play the card game, the winner will get this tank to show off to all their friends! 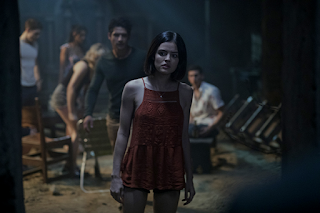 No, I haven't ever played Truth or Dare before. Thanks for hosting the giveaway. Yes, we played. Can't remember any stories to tell. Yes, i played when i was younger. as a kid yes... share , no. 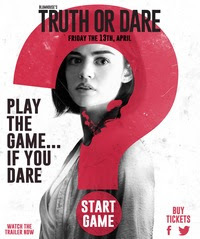 I have never played truth or dare. I have more than a few times in my teenage days! I was mostly a truth guy so nothing juicy ever really happened lol Thanks for the chance!